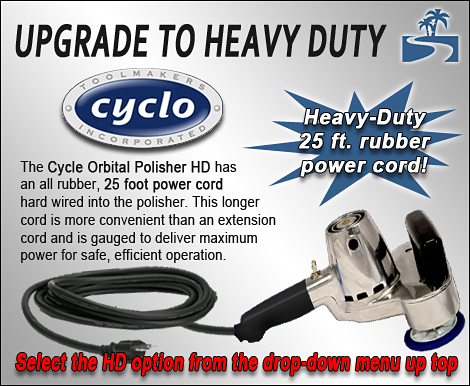 The Cyclo Intro Kit lets you hit the ground running with your new Cyclo Polisher. The kit includes two blue pads to be used for general polishing and shine enhancement. Rather than buying your polisher and pads a la carte, you can get them together in this money-saving package. Take your new Cyclo Polisher for a spin!